There is so much joy, fun, and benefits that come with owning an indoor pool as compared to an outdoor pool. Although an outdoor swimming pool is cheaper to install as compared to an indoor one, a few extra dollars is a price worth paying to enjoy swimming all year long through all seasons. Indoor pools are safe, easy to maintain, and very clean. They are free from debris that collects and clogs the drainage pipes which adds to the maintenance cost. Everyone wants to relax in a pool after a day’s work, long weekend or a long trip that has caused a lot of exhaustion. The pool can be designed with a heater to help you relax any time of the day or night, regardless of the weather condition or the season in play. 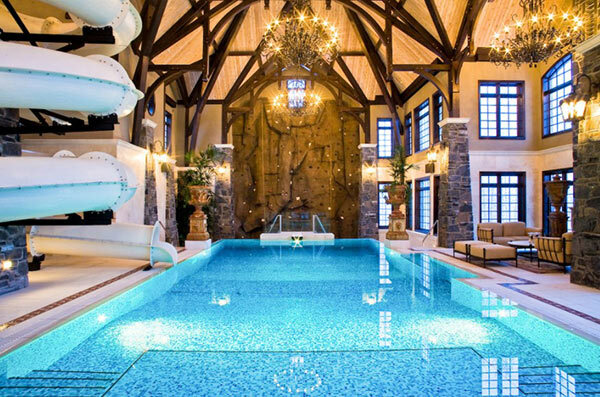 Here are some of the tips for building an indoor pool. 1. Design the desired pool. Your dream pool should be from your own imagination, however, in designing the pool, you should consider the geographical location. Areas around the world differ in their soil profile and for this case before setting up a pool, citing the best location should be considered. The topography of the site should also be a factor to consider as it is practically not possible to build a pool on a sloped area. 2. Get a permit and a professional to start on the digging. Digging out a pool in your own backyard has to be inspected and be done by someone who has expertise in this field. This is done because they could be pipeline system underneath that need to be taken care off and need not to be damaged at all. With a permit from the local authority, dig out the pool to your required shape and size then grade the ground to make it even. 3. Hire a qualified plumber and an electrician. The plumber should be conversant with the filtration system and codes of your locale. Ensure you have a good filtration system laid in, hence the need to ensure the plumber is a professional. The electrician lays in the heating system according to your choice and also the lights in the pool if need be. Care should be taken and all wires highly insulated and covered for safety reasons. 4. Finish the floor and the walls properly. Depending on your type of pool, whether vinyl, fiberglass or concrete, a good finish on the walls and the floor should be done and with great care at the edges to ensure it is even. The wall is raised to a reasonable height above the actual ground and the walls fitted with a liner, could be plastic, tiles or plaster to avoid water leaching out. Fill in the pool with water using your own water supply or call in the water supply company. 5. Put on the cover of your choice. The cover could be fixed or automated. The automated covers are the best as they allow your pool to be fresh during the day and conserve the moisture at night. They are designed by professionals and they can be installed to any outdoor pool to have a perfect indoor outdoor pool design of your dream. The covers can be fully automated, the wall and the roof moves or semi-automated, just the roof opening and closing. The covers also come with windows and doors. 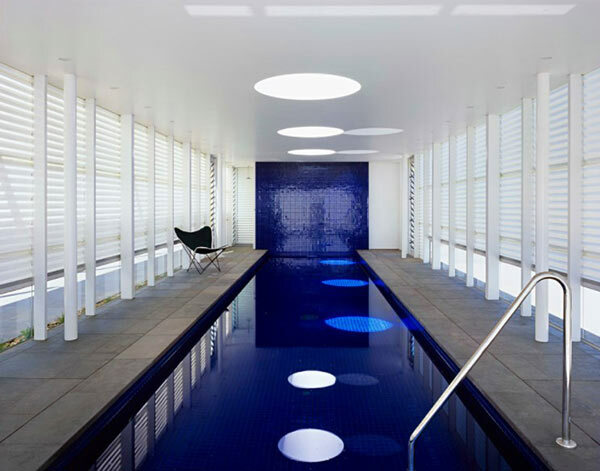 Having an indoor pool has been made easy by the installation of covers that come with numerous advantages. Getting a professional to advise and install the best cover for an indoor pool will be a wise idea and you can enjoy and practice safe swimming all year long.